Tip of the hat to The Badger. Link to the article at Boing Boing. This is pretty damn cool. 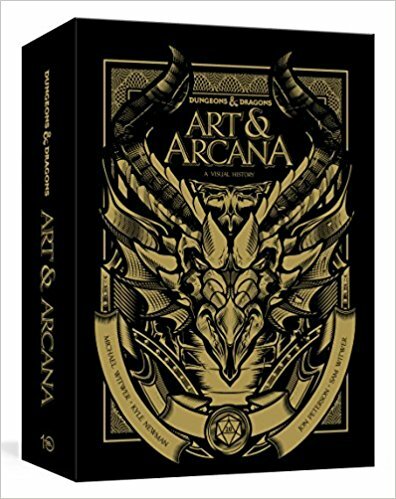 The sample pieces of art I found on the Amazon pages (for both the Special Edition and the standard release) are damn inspiring. this special edition includes re-creations of classic DUNGEONS & DRAGONS artwork ready for framing, as well as a pamphlet-sized, unpublished original version of the game’s most infamous adventure module and deathtrap Tomb of Horrors, written by DUNGEONS & DRAGONS co-creator Gary Gygax. 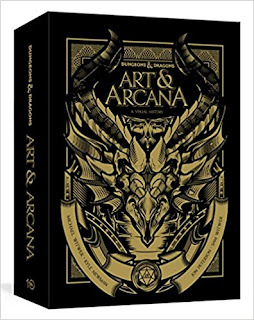 A deluxe, special edition package containing posters, ephemera, and the illustrated guide to the history and evolution of the beloved role-playing game as told through the paintings, sketches, and illustrations behind its creation, growth, and continued popularity. DUNGEONS & DRAGONS is the one of the most iconic game brands in the world. 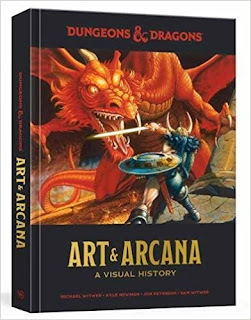 This officially licensed illustrated history provides an unprecedented look at the visual evolution of the game brand, showing its continued influence on the worlds of pop culture and fantasy. It features more than seven hundred pieces of art—from each edition of the core role-playing books, supplements, and adventures; as well as Forgotten Realms and Dragonlance novels; decades of Dragon and Dungeon magazines; and classic advertisements and merchandise; plus never-before-seen concept sketches, large-format canvases, rare photographs, one-of-a-kind drafts, and more from the now-famous designers and artists associated with DUNGEONS & DRAGONS. 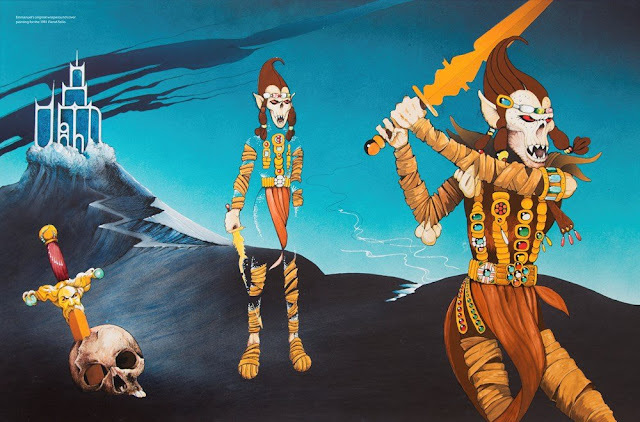 The superstar author team gained unparalleled access to the archives of Wizards of the Coast and the personal collections of top collectors, as well as the designers and illustrators who created the distinctive characters, concepts, and visuals that have defined fantasy art and gameplay for generations. 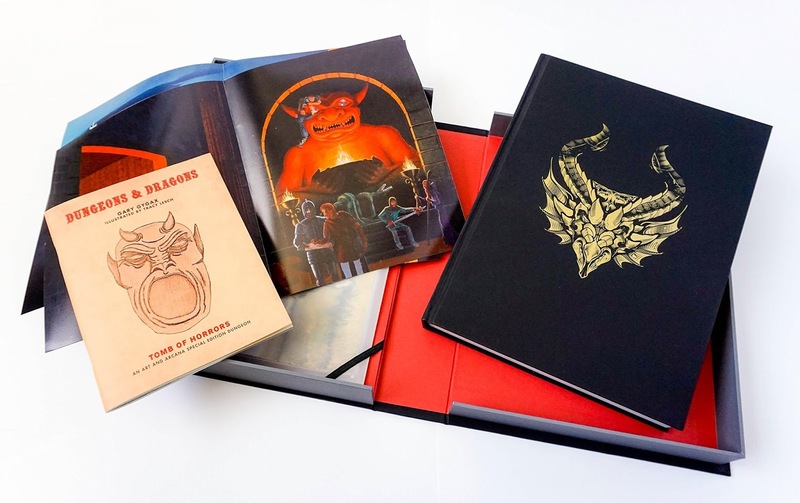 Contained inside a clamshell featuring original illustrations by superstar D&D artist Hydro74, this special edition includes re-creations of classic DUNGEONS & DRAGONS artwork ready for framing, as well as a pamphlet-sized, unpublished original version of the game’s most infamous adventure module and deathtrap Tomb of Horrors, written by DUNGEONS & DRAGONS co-creator Gary Gygax. My bookshelf is running out of room, but that's a very tempting purchase. 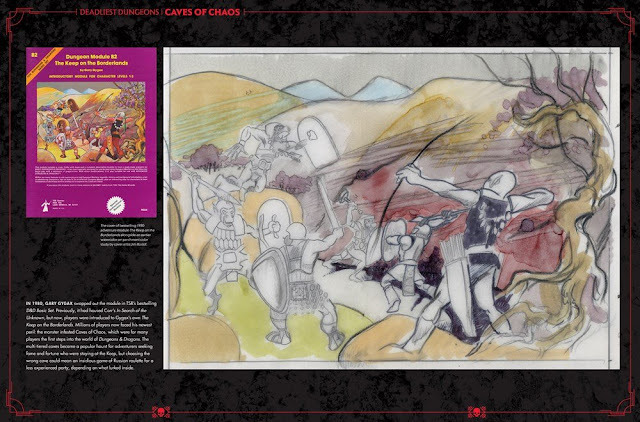 I'm really interested in the unreleased Tomb of Horrors module. In the Amazon preview pictures, on the same page as the 7" record and the ViewMaster packs, are some boxes of Dungeons & Dragons candy. I had two of these when I was younger! The troglodyte and the fighter. I really wish I had held on to them. Does anyone else remember these? Holy cow I want this. 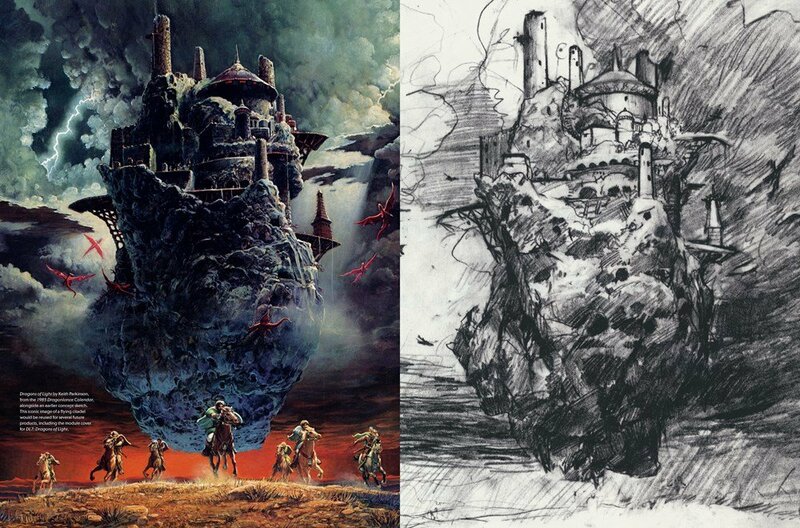 I admit I've been using third-party websites to print up posters of my favorite D&D art; it will be nice to have something official, tho hard to tell what the art dimensions will be. ". . . superstar D&D artist Hydro74 . . ."